Seventy-five years ago this hour, The Buhl Planetarium and Institute of Popular Science was formally dedicated with the fifth Zeiss II Planetarium Projector installed in America. Previously, Zeiss II Planetarium Projectors had been installed at Adler Planetarium in Chicago (1930), Fels Planetarium at Franklin Institute in Philadelphia (1933), Griffith Observatory in Los Angeles (1935), and Hayden Planetarium at the American Museum of Natural History in New York City (1935). It was at this 1939 dedication that the Buhl Foundation gifted and legally conveyed the Buhl Planetarium building, and all contents of the building, to the City of Pittsburgh. It was on Tuesday Evening, 1939 October 24 at 8:30 p.m EST that the dedication ceremony began. As Daylight Saving Time was not observed in 1939, this blog post has been posted at 9:30 p.m. EDT, exactly 75 years to-the-moment of the beginning of the dedication ceremony. The grand public opening of Buhl Planetarium came the next day, Wednesday Morning, 1939 October 25 at 10:00 a.m. EST. The first public planetarium show, "Stars Over Pittsburgh," began at 3:00 p.m. EST, with additional shows at 8:00 and 9:00 p.m. At that time, The Buhl Planetarium and Institute of Popular Science opened seven days a week at 10:00 a.m., closing each day at 10:00 p.m. It was closed only one day out of the year. Originally, that one day was New Year's Day. Later on, in the 1960s, they elected to stay open New Year's Day and close on Christmas Day. The building's five public exhibit galleries (with a total of 15,000 square feet of exhibition space), the Institute of Popular Science, was free-of-charge the first year, while a small charge was levied for attendance to a planetarium show. About a year later, a small charge for building admission was added, to solve the problem of the homeless coming in just to take advantage of the heating or air-conditioning (Buhl Planetarium was the first publicly-owned building in the city, and possibly the state, built with air-conditioning), a problem public libraries continue to have. The opening of The Buhl Planetarium and Institute of Popular Science was a big deal, particularly coming in the middle of the Great Depression. At that time, Pittsburgh only had a few major museums. Andrew Carnegie had opened his two big museums, The Carnegie Museum of Natural History and The Carnegie Museum of Art, in 1895 (with a major expansion of both museums in 1907) at the edge of Schenley Park, in the Oakland Civic Center district of Pittsburgh. Two years earlier, his boyhood friend, Henry Phipps, had opened the Phipps Conservatory a block away, also in Schenley Park. Also in Oakland at that time, the Historical Society of Western Pennsylvania operated a small city history museum. The Pittsburgh Zoo had opened in 1898, in Highland Park in the East End. And in July of 1895, the Fort Pitt Society of the Daughters of the American Revolution began public tours of the historic Fort Pitt Blockhouse, Downtown, the last remaining structure of Fort Pitt and the oldest building in the city dating to 1764. Just before Buhl Planetarium opened, long-time Pittsburgh Press columnist Gilbert Love prepared an eight-page Sunday newspaper supplement devoted entirely to Buhl Planetarium. Three of Pittsburgh's five radio stations carried the Buhl Planetarium dedication ceremony. KQV-AM and WWSW-AM provided coverage that evening from 9:00 to 10:00 p.m. while KDKA-AM's coverage was from 10:30 to 11:00 p.m.
Buhl Planetarium's historic Zeiss II Planetarium Projector, in addition to being the fifth major planetarium installed in America, it was the last planetarium constructed before World War II and the last Zeiss II Projector built. After the War, a few other Zeiss II projectors were modified to be signified as Zeiss III projectors, while the first all-new Zeiss projectors, the Zeiss IV, were not built until the mid-1950s. Pittsburgh's Zeiss II Planetarium Projector was the only Zeiss II to never receive any major modifications. Hence, before it was dismantled in 2002, it was the oldest operable major planetarium projector in the world! In 2010, it was reassembled for display-only at Pittsburgh's Carnegie Science Center, where it continues on display today. Buhl's Zeiss II was also the first such projector to be placed on an elevator. This special elevator, with four huge worm-gears, was custom-built by Pittsburgh's Westinghouse Electric Company. When the projector was lowered below floor level into the Zeiss Pit, a stage would be automatically installed above the projector, allowing the Theater of the Stars to be used for other presentations. However, this was just one of two stages in the Theater of the Stars. Buhl Planetarium was the first planetarium to also include a permanent theatrical stage. Buhl Planetarium's first Director, Dr. James S. Stokley, had used a temporary stage when he directed Fels Planetarium at Franklin Institute in Philadelphia, to allow a costumed "St. Luke" to tell the Christmas story during the annual "Star of Bethlehem" planetarium sky drama. When he came to Pittsburgh to open Buhl Planetarium, he suggested a permanent theatrical stage be added during construction. In addition to the annual Christmas show, this permanent theatrical stage was used for other presentations throughout the year, including student skits during the annual Foreign Language Festival. The Theater of the Stars was originally designed to seat 500 visitors, although the City Fire Marshal only allowed an occupancy of 490. As the years went by, some seats were removed for a greatly expanded Planetarium Control Console and Laser Show Control Consoles. By the late 1980s, there were 381 permanent seats, with portable seats increasing the size of the audience to 425 during the busy holiday shows and the school field trips in the Spring. In 1939, Buhl Planetarium's Theater of the Stars was also the first planetarium theater, and perhaps the first theater of any kind, to include a sound system specifically designed for the hearing-impaired. A person who was hearing-impaired could pay a one-dollar deposit for a set of earphones, which would plug into special receptacles in the Theater of the Stars; the one-dollar would be returned to the visitor with return of the headsets. Two varieties of headsets were available: air-conduction and bone-conduction. Buhl Planetarium's astronomical observatory, originally known as "The People's Observatory," did not open for another two years, on 1941 November 19, when the rather unique 10-inch Siderostat-type Refractor Telescope was dedicated. Buhl Planetarium did order a smaller, portable telescope, a 4-inch refractor, from the same company that built the planetarium projector, the Carl Zeiss Optical Works in Jena, Germany, so that Buhl scientists would have a telescope to show celestial objects to the public, before the main observatory was finished. However, Buhl officials were disappointed when the telescope arrived from Germany. The Zeiss Optical Works had sent the wrong telescope! Buhl had ordered an astronomical refractor telescope (where objects are seen upside-down) while the German factory had sent a terrestrial refractor telescope (where objects are seen right-side-up). Astronomers always try to avoid using terrestrial telescopes, as the extra optics included to make an image right-side-up further degrades images of celestial objects. Buhl officials would have liked to send the telescope back to Germany and have the factory send the proper replacement. But, there was a problem. It was Autumn of 1939, and Adolf Hitler's forces had invaded Poland on 1939 September 1, resulting in the beginning of World War II. Even if the telescope had been sent back, they would have received no replacement (and probably no refund), as the Zeiss Optical Works was converted to produce bomb-sights for German military aircraft (the factory was eventually bombed by the Allies). So, Buhl officials had to learn to make-do with a terrestrial telescope. And, today, the City of Pittsburgh owns, and the staff of the Henry Buhl, Jr. Planetarium and Observatory continues to use, this 4-inch Zeiss refractor telescope with a very interesting history. When you consider the beginning of Buhl Planetarium, you need to talk about two people: Henry Buhl, Jr. and Leo Scanlon. Henry Buhl, Jr. owned one of Pittsburgh's six major department stores in the 1920s, and the only department store located on the North Side: Boggs and Buhl Department Store. Boggs and Buhl was opened by Mr. Buhl, along with his brother-in-law Russell Boggs, in 1869. The store catered to the rich industrialists, many of whom lived only a few blocks away on Ridge Avenue. Today, some of the Ridge Avenue mansions continue to be used as part of the main campus of the Community College of Allegheny County. When Henry Buhl died in 1927, he had no heirs, as his wife had died a few years earlier. He decided, in a bequest, to use his wealth to set-up a charitable foundation to benefit the people of Pittsburgh and Allegheny County, in memory of his wife, Louise C. Buhl. When the Buhl Foundation was established with assets of $11 million, it was one of the ten largest foundations in the country. The Buhl Foundation was one of the very early philanthropic foundations. Another Pittsburgh resident, Andrew Carnegie, had pioneered modern philanthropy when he donated $135 million to set-up the Carnegie Corporation of New York in 1911. It was announced this-past June that an asteroid had been named in honor of Henry Buhl, Jr., on the occasion of the 75th anniversary of Buhl Planetarium. Two staff members at the Henry Buhl, Jr. Planetarium and Observatory at The Carnegie Science Center came-up with this idea to honor the planetarium's benefactor: Dan Malerbo (who began as a Planetarium Lecturer at the original Buhl Planetarium) and Frank Mancuso. Leo Scanlon, a plumber who lived in the Summer Hill section of the North Side, was an avid amateur astronomer. In 1930, astronomical observatory domes were constructed of steel, which, at that time, was thought to be the only metal strong enough to hold-up such a dome. That year, Leo Scanlon proved conventional wisdom wrong. In his backyard, he constructed a small astronomical observatory with a dome completely composed of aluminum. There is even a photograph of Leo sitting on top of the dome to show how strong the dome really is! This completely changed the way that astronomical observatory domes were constructed, from then-on. In 1929, Leo Scanlon co-founded the Amateur Astronomers Association of Pittsburgh. The next year, he and fellow club members took a road trip to Chicago to see America's first major planetarium, Adler Planetarium, which had just opened. These amateur astronomers were so impressed that they came back to Pittsburgh and immediately started lobbying for a planetarium to built in their home city. In 1935, the Buhl Foundation announced that they would spend $1.07 million to build a planetarium and institute of popular science, in the memory of Henry Buhl, Jr. The building replaced the former Allegheny City Hall (Pittsburgh's "twin" city, Allegheny, had been annexed by the City of Pittsburgh in 1907) and was located just across Federal Street from America's first publicly-funded Carnegie Library and the very first Carnegie Hall. At the same time the Buhl Planetarium was being built, just across West Ohio Street the city was converting the original Allegheny town square into Ober Park. Since that time, the park has been redeveloped twice, most recently in 2012 as Buhl Community Park at Allegheny Square. "Preview: Buhl Planetarium 75th Anniversary." The Saturday Light Brigade / Neighborhood Voices. WRCT-FM 88.3 Carnegie Mellon University, Pittsburgh (and network of 5 Western Pennsylvania and Eastern Ohio college radio stations) 2014 Oct. 25. Radio interview occurred in the studios of The Saturday Light Brigade, located in Bowdish Gallery of Pittsburgh's original Buhl Planetarium and Institute of Popular Science building. "Wednesday Rundown: Celebrating the Birthday of the Original Buhl Projector." Essential Pittsburgh. WESA-FM 90.5 Pittsburgh 2014 Oct. 22. 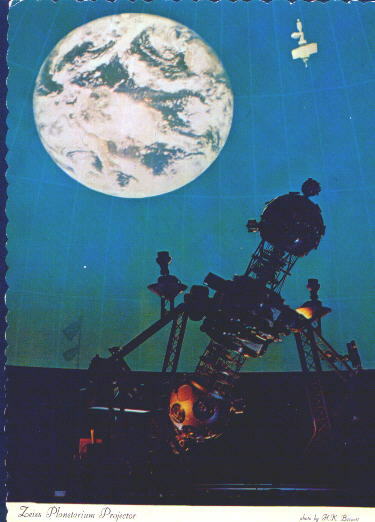 "The Buhl Planetarium's 75th Anniversary Celebration." Radio Interview. Essential Pittsburgh WESA-FM 90.5 Pittsburgh 2014 Oct. 22. This post is really informative and thanks you so much for sharing this post and using your valuable time here. Can I also use this place as a meeting room? It will be a fun kind of corporate event.